The last few weeks–err months, arguably the last two years–have been a series of transitions. First there were the purges, then turning in the keys to my house, and now a new phase of kinda-on-the-road but mostly still-in-the-office. 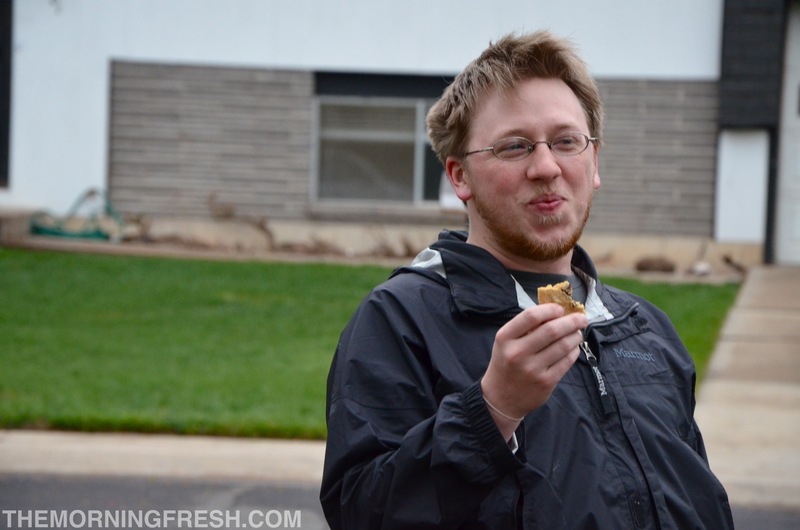 My personal life has been completely upheaved, but everything was business as usual at work. I still went into OIA HQ each day, still sat in my cubicle–with a view of the Flatirons, so I can’t complain. Honestly, this was a weird week for me. I’m ready to go, and somewhat already gone, but also still stuck. 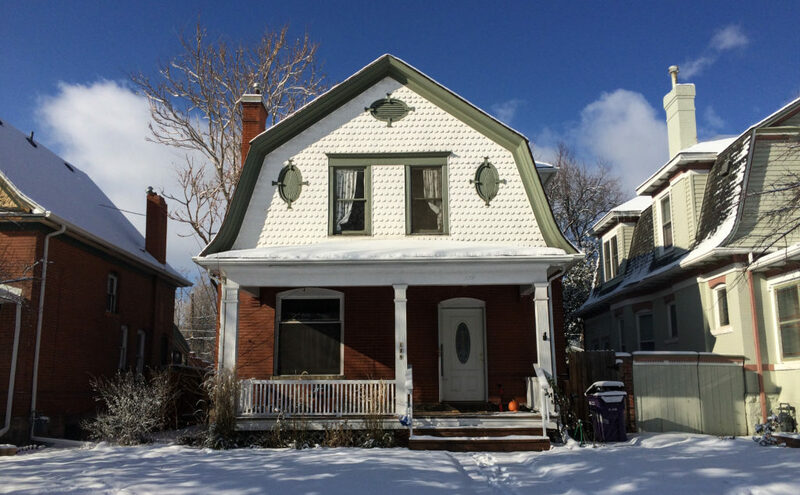 Another big­–and very positive–change came about this week. Mcgoo and I couldn’t handle another night in our fly-ridden, mold-lurking Airbnb, so we bit the bullet and cancelled our reservation. I felt awful leaving the nice fella who owned the property, but we hadn’t slept a full night since arriving and Mcgoo was starting to get sick from the funky smelling air. We got hit by a huge snowstorm this week, which was the perfect farewell to winter. 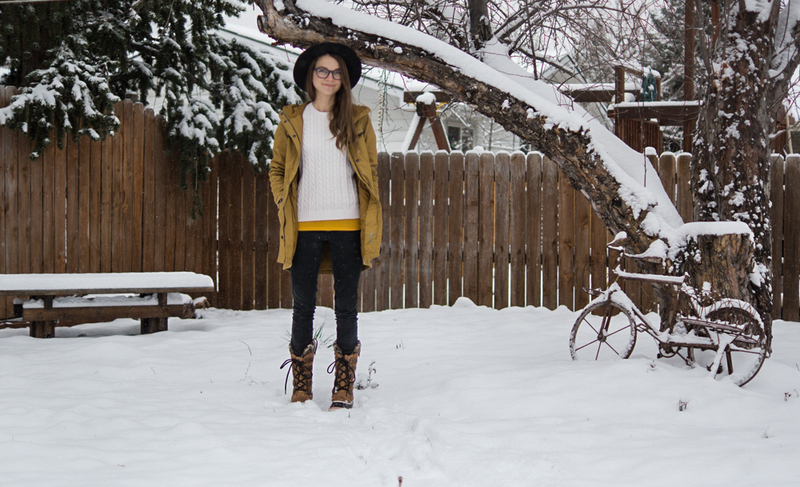 I’m constantly torn between loving the cozy vibes of a wintry wonderland and just plain ‘ole hating being cold. The struggle is real y’all. On Thursday, the OIA staff did our annual hike up to the Boulder Star, then we all went out for dinner and drinks to celebrate my departure. Friday was a normal day–until 4:00 rolled around. I said my farewells, rode the elevator downstairs, then slid into my car and promptly felt my eyes well up with tears. I wasn’t expecting to get so choked up. Ultimately, I want nothing more than to never be in a cubicle ever again–but also, I’m going to really miss the camaraderie and damn good vibes the OIA crew has. I still bug them every day with e-mails and video conference calls, but there’s nothing like popping your head into the kitchen and messing around with your colleagues. Plus, now I miss out on all the beer. Mcgoo and I had our final Colorado dinner at Under The Sun, the sister restaurant to our beloved Southern Sun brewery. If you’re ever in Boulder, you must go eat at Southern Sun. Best nachos on the planet. Those cheesy, gooey, never-gonna-finish-‘em nachos are probably one of the only things I’ll truly miss about Boulder. Before the sun rose on Saturday morning, my Scion tC was already on the highway heading east. And so begun the 2090 mile journey down to my hometown, Miami. 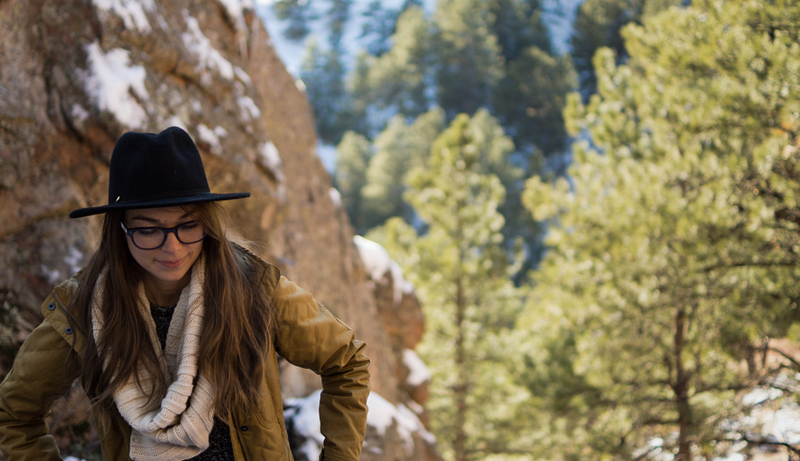 Weekday escapes to Boulder have become a new tradition as I frequently flee the city limits of Denver to embark on adventures with my mountain-dwelling gal pal, Jane. 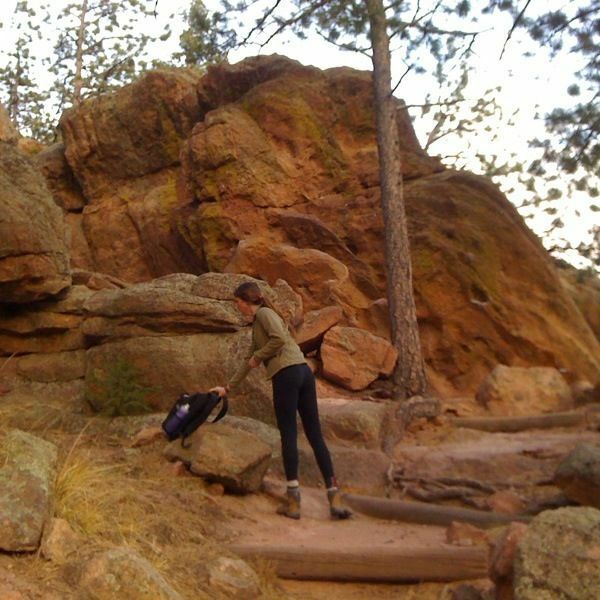 Our favorite haunt is Flagstaff Mountain, which offers abundant moderate climbs and steep, scenic hiking – but today we opted to scope out a new venue for our afternoon explorations. 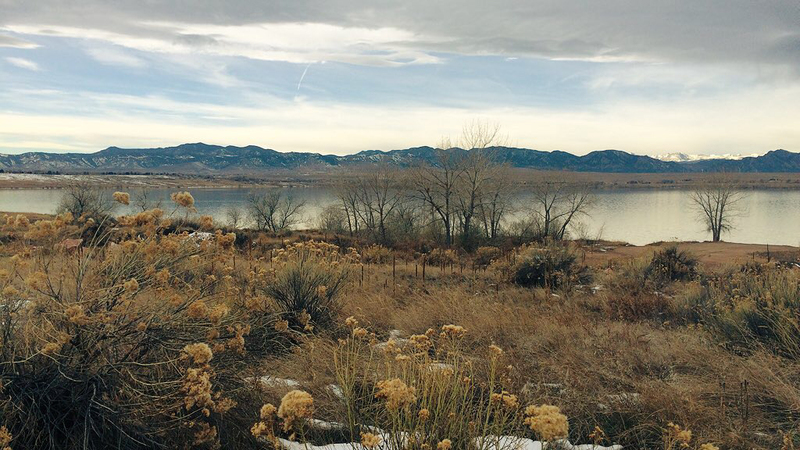 We scoured the Boulder Open Space and Mountain Parks website in search of a new destination, and debated the merits of several different options before settling on the Four Mile Creek/South Foothills trail head off Broadway and Lee Hill. This area is great for hill runners, leisurely dog-walkers, casual hikers, and even features a paved lower path ideal for handicapped outdoor adventurers – plus, these hills sit directly in the sun, making them a warm winter hiking spot. The beginning of the trail was wide and packed with gravel, though the wintry conditions had us trudging through thick puddles of frozen mud and slick patches of ice. Jane and I appreciated the extra natural challenges, and eagerly stomped on melting sheets of ice as we pressed towards our first loop on the Old Kiln Trail, which led us to a historical limestone kiln dating back to early settlement days. After easily completing the short mile-long trail, we hiked back to the original fork that separated towards the Old Kiln path, and this time followed a trail that led us to a very frozen Wonderland Lake. Eager to head up into the hills, we veered away from our lake-bound course and headed up a steep, narrow trail that wound up towards the hilltop. Always late to commence our outdoor discoveries, it was nearly sunset as we clamored up the foothills. 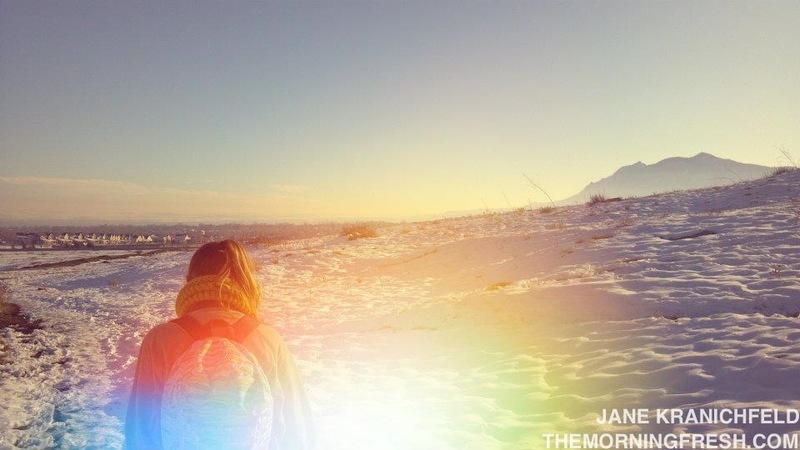 As usual, Jane captured some impressive shots on her phone – check ’em out. On the way back from our hike, Jane and I were entertaining ourselves with the sights of hundreds of fat, barking prairie dogs that dwell along the foothills when we spotted a creature I’ve been dying to see since I started my adventures in Colorado: a sly coyote. We watched as the hungry predator chased plump prairie pups into their tunnels – I was admittedly a little worried that one of my chubby little buddies would become this carnivore’s lunch. Fortunately for me, the prairie dogs managed to stave off the coyote’s tactics, and eventually sent him retreating up the hill as they loudly expressed their disapproval of his presence. I may have missed this week’s edition of Travel Talk on Twitter, but the great day of hiking and wildlife encounters made it absolutely worth it. I can’t wait to head back to this spot with more time on my hands so I can summit the hill and hopefully meet a few more coyotes. Between all the chaos of moving, and settling into my new life out in the Rockies, I lost sight of the very reason I made the cross-country relocation to Denver: I’m here to climb. I shamefully allowed two weeks of no-climbing slip by before I finally snapped one morning and decided to drive out to Boulder to check out a spot my lady friend Jane had stumbled upon. 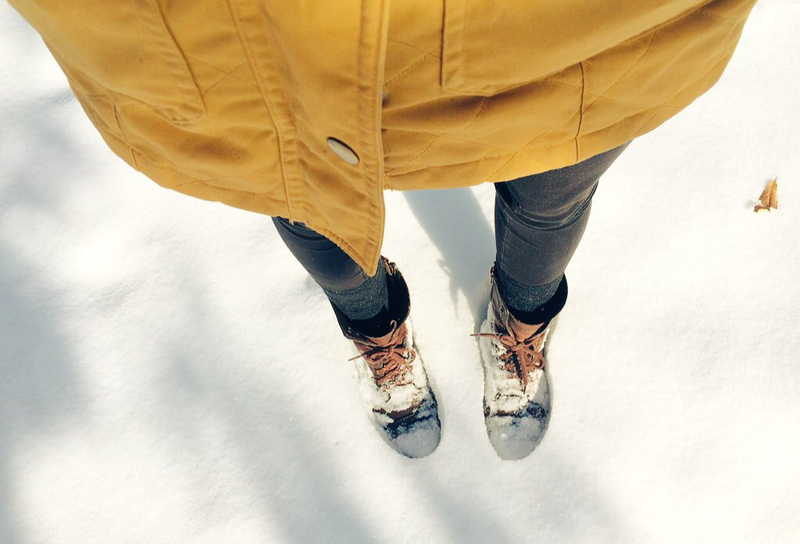 With my hiking boots still out of commission from a trip to Bear Lake in Rocky Mountain National Park, I was admittedly ill-prepared in my dainty Keds for our little uphill adventure – but when has that ever stopped me? We docked my car at the parking lot of Chautauqua Park, near the spot I usually park to head out to Satellite Boulders – but this time we headed back up Baseline Road towards the mountains rather than hanging left and heading straight into the park. This roadside route took us to a new park I hadn’t yet seen, Boulder Mountain Park. We trudged up along the edge of the pavement until we hit a trail head that shot straight up the hillside. Our first excursion out to this spot was enjoyed later in the day, and I left my climbing shoes in Denver, so we vowed to return two days later armed with the proper gear. On our second visit, we crushed the intermediate routes with ease. 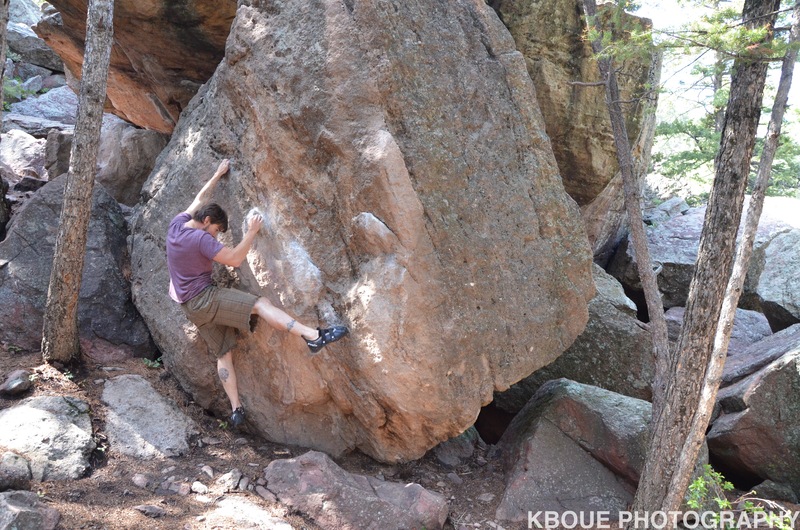 A little digging around on Mountain Project’s guide for the Flagstaff Mountain area informed us that I sent Plain View Traverse, a flowy V3 with a balance-intensive top out. Jane took the first send of Trail Side Direct, a reachy V2 – and then I followed suit, quickly discovering that this particular problem has a sketchy top out that beckons you to straddle a thin slice of boulder and down climb a bleak slab. While I certainly wasn’t pushing my true limits of climbing, it felt great to finally get out to a boulder field and get a little confidence boost with these great moderate problems. This new spot has me constantly daydreaming about its sweet lines, inviting holds, easy access, and how wonderful it is to have a fellow lady climber. On the way back to the trail head, we came across the beast pictured to your left: Hobo Cave. This gem is tucked away on a poorly kept side trail, and a small fire pit in the middle of it hints towards the origin of its name. Hurried to beat the sunset, we didn’t have time to test out any of the lines, but I’m eager to return to the cave. The holds appear to have been permanently chalked for decades, and some of the rock is smooth as a kitchen counter top – the place was oozing with history. The point of this proclamation of my new-found love for Flagstaff Mountain? Perhaps just to further my excitement over my third return visit today. This time Jane and I will be fully prepared with two crash pads, my camera, and $5 so we can park next to the crag rather than wasting time with the lengthy hike in. 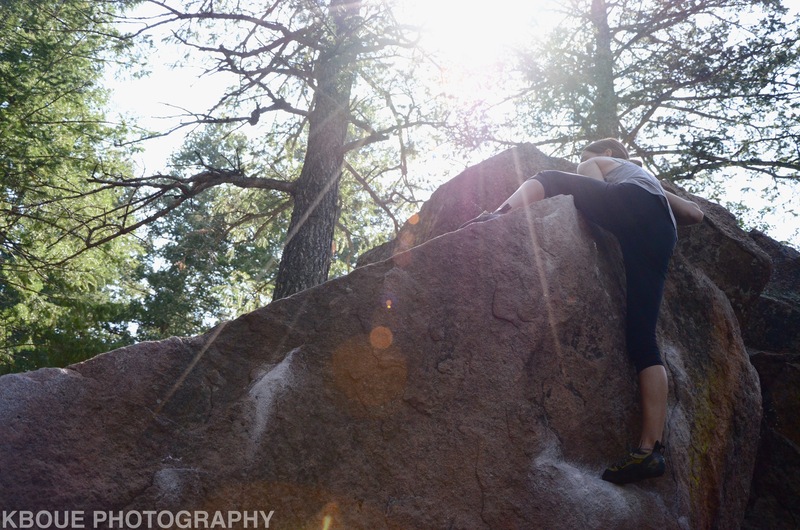 My goal for today is to check out, and possibly crush, Monkey Traverse – a classic V4 that seems to be the pride and joy of Flagstaff Mountain. Send good vibes, and keep on climbin’. It’s official: I’m moving to DENVER for fall, baby. Let’s play a little game – You’re going to pretend that you didn’t see the answer capitalized above, and you’re going to guess where life has decided to take me based on five clues/photos. So, at this stage of my life, I clearly need to high-tail it out of Florida. My tan lines can’t get any deeper, I’ve nearly had my fill of Cuban food, and the mountains are calling my name with earnest. The option to move to San Francisco was looking like the best plan for a while, and then something unexpected fell onto my plate. Shall we solve the no-brainer mystery? I’ll be shipping off to a city where the springtime brings fat bundles of delicate blossoms sitting right in front of your door step. 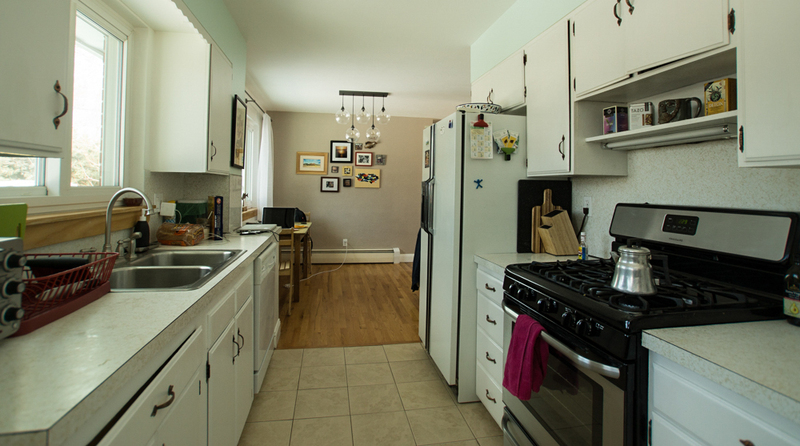 Even the weeds that cover kitchen windows glow with the glory of living in such fresh, elevated air. 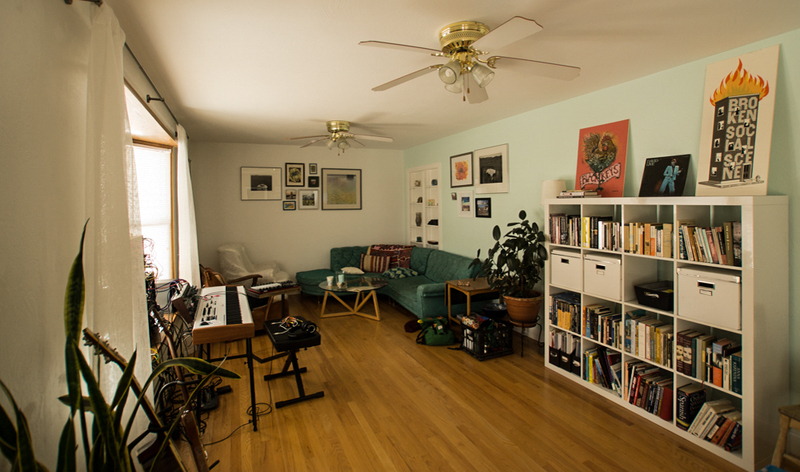 Except I’ll be living here during the fall, so it’ll look a lot more like this – and I’m certainly not complaining. Celebrating my 23rd birthday in an autumn wonderland? Yes, please. When it’s rainy outside, this city still delivers climbing. I can head to a local playground for some sweet artificial bouldering in Central Park, or I can head to the indoor rock gym(s), Rock’n & Jam’n – yes, there are even two different locations to chose from. Of course, I’ll be toting a sizable supply of Tally Rock Gym rubber in my chalk bag to keep the mojo flowin’. 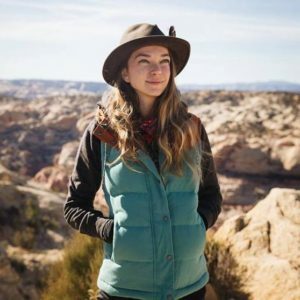 Oh shoot, I need some new outdoor gear – no worries, I’ll just take a little drive down to the Boulder Sports Recycler to snag some discounted swag. Better yet, when it is sunny outside in my new city, I’ll have a buffet of options for outdoor climbing. Within an hour’s reach, I’ll be able to travel to more crags than I could ever possibly conquer. 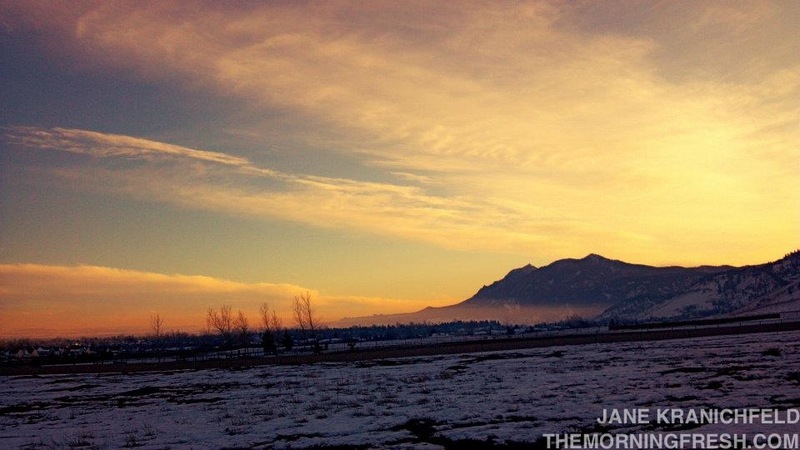 The above photo was taken in Chautauqua Park, better known to climbers as the Flat Irons. Then, there are places like Boulder Canyon and Lincoln Lake – which my future housemate keeps torturing me with photos of, like this one (that she didn’t take) – but I am now determined to find myself a goat while I’m out there. The best part is that my darling housemate is a local whiz when it comes to the best climbing spots in the area, so I won’t be a fish out of water when I move up. 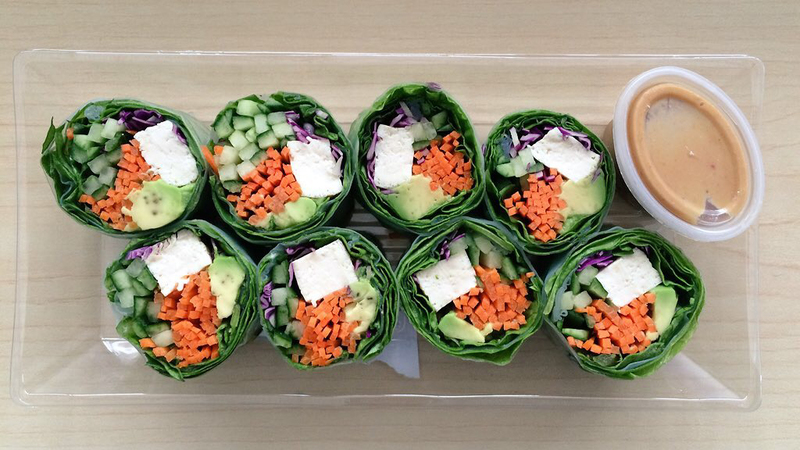 After all the climbing I’ll be doing, mama’s gonna work up an appetite – and my new city is bursting with edible options. 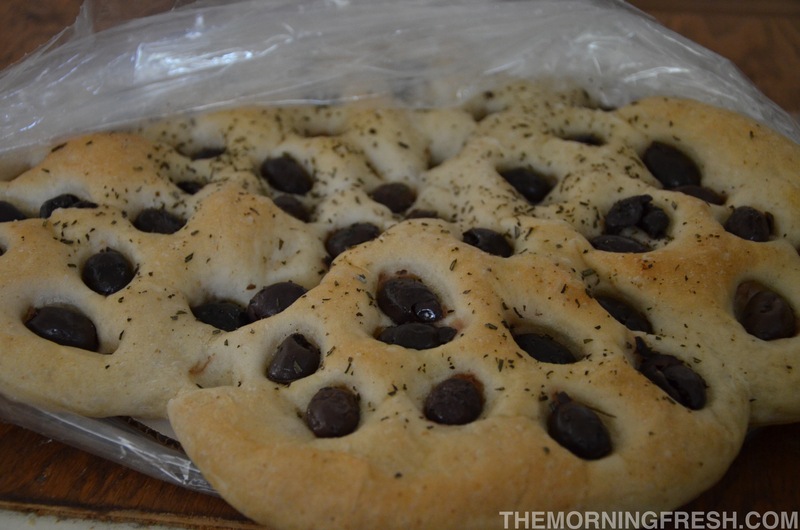 Take the kalamata olive bread I scooped during my last visit in May. Do you see that beast? These folks don’t skimp on the olives, and that is something I can stand behind. Not in the mood for baked goods? That’s alright, I can just stuff my face with green chili and mash from Bull & Bush Brewery, or perhaps I’ll cool down with a scoop of homemade frozen flavors from Sweet Action Ice Cream. In the mornings, I’ll take a stroll down the street to Cafe Europa and sip on black tea while I do my daily writing tasks. Excuse me while I get sentimental, but one of the greatest parts of my move will be the people I’ll be fraternizing with, like my dearest, most beloved McGoo – when he’s not too busy jet-setting all over the country. Skype is simply not enough to quell my need to hang with my Colorado boys, so it looks like I’ll just have to relocate and join in on the fun. There’s McGoo, and Rob, and my new housemate Sara, and it’s going to be a glorious experience to dive into a new social scene and experiment with all sorts of new people. If you haven’t figured it out yet, I’m moving to Denver! Thanks to a very conveniently-timed sublease opportunity, I’ve decided to pack my Scion up with the bare essentials, and I’ll be residing near Wash Park from September through December. I plan to head out a few weeks in advance, and spend my time meandering up to colorful Colorado during the last bits of summer. The entire fall season will be spent playing in leaves, sipping on espresso, writing religiously and taking thousands of photos that will clog my hard drive with autumn hues and Denver discoveries. Then, just in time for the real winter to set in, I’ll retreat back to Florida for a few months of hibernation before my next big adventure. Can I express again just how incredibly excited/anxious/amazed I am? Life threw me quite a curve ball, but I think I’ve come back swinging. 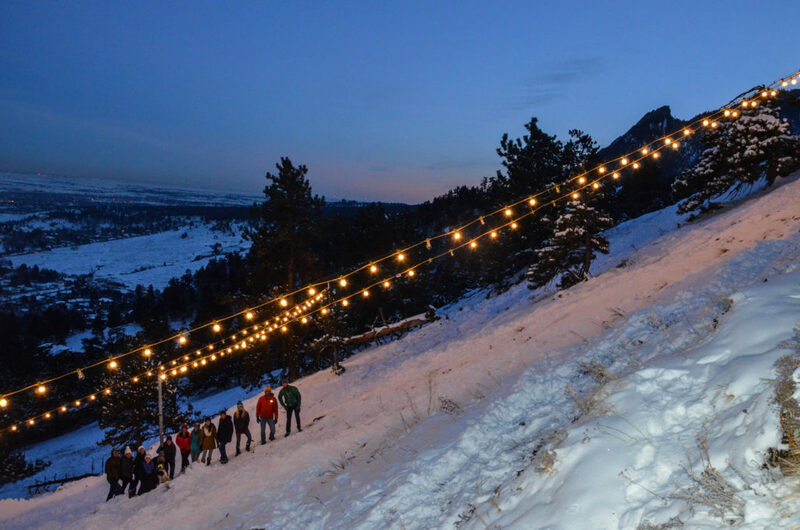 Not to mention the fact that it takes less than one beer for me to get lifted up in those Colorado mountains – it’s going to be a good season for this spud, and I expect everyone to visit. 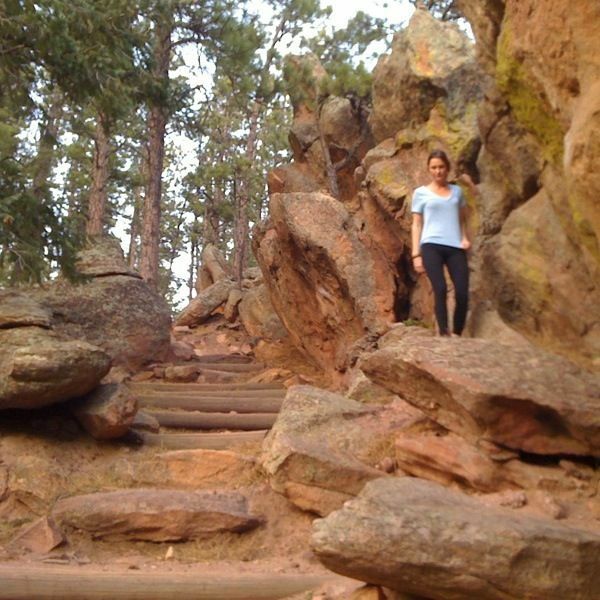 Yesterday afternoon was spent exploring the climbs at Chautauqua Park’s Flat Irons. To access the area, you park along this adorable residential area, which I believe is primarily comprised of timeshare or rental mountain homes – I wanted one so bad. There is a wide concrete path that guides you up the first little foothills before the trail becomes rugged and winds up the mountainside. Our first stop was at the Satellite Boulder area. Highlight of the trip thus far was when I hopped on my first route of the day and miraculously topped out over an arete with the classic ‘beached whale’ method. I will admit, my ascent was neither graceful nor delicate – but alas, I am a lady! 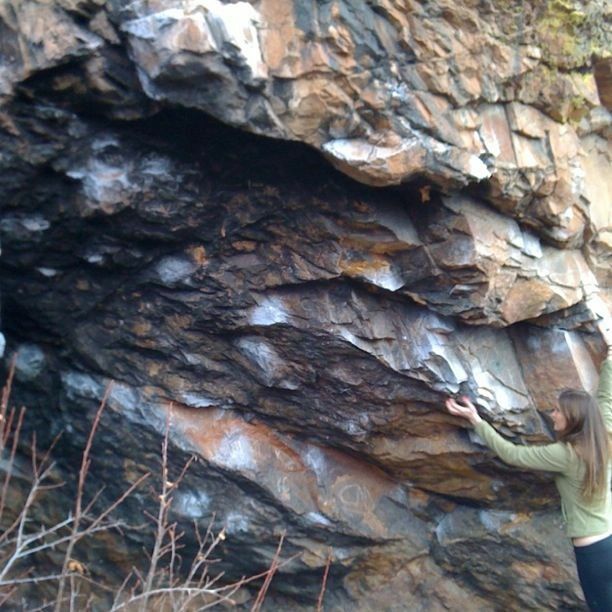 If you’ve ever climbed outdoors with me, you know how much of a baby I am when it comes to topping out. During our day, we met a few groups of awesome climbers who made our experience out at the Flat Irons even more memorable. The first was a couple, Alex and Olivia, who were just hiking in the area and couldn’t resist hopping on the rocks after bumping into us. They certainly showed us some Colorado-style hospitality, and I really regret not exchanging contacts with them before scampering off to the next climb. Alex and Olivia – if you guys are readin’ this leave me your contact so I can keep in touch! 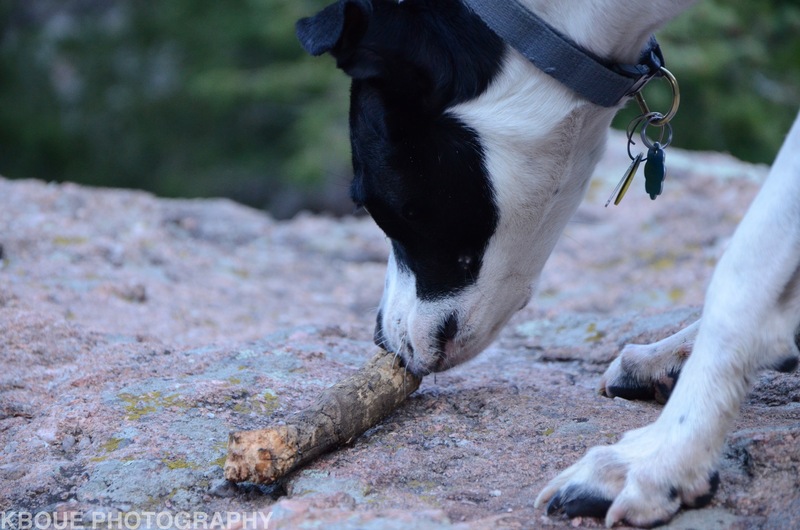 After our stint at the main boulder field, we hiked up the mountain to a great lookout point, then made our way back down to climb a bit more with a few locals, and Gunner, the playful pup extraordinaire. Niko spent the rest of his energy on a V8/9, then we started to make our way back down to the main trail head. 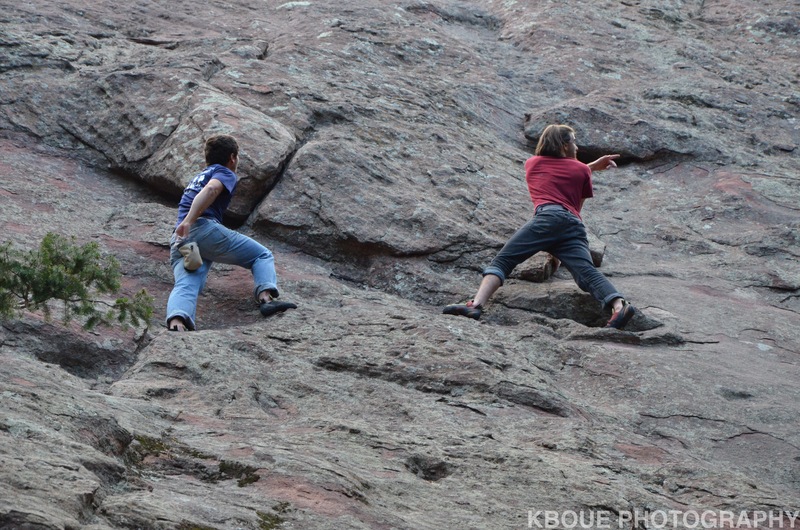 On our way down the rocky path, we passed by a towering slab wall, which the boys of course decided to free solo. The effort began as, “Let’s just go up a bit, there’s a plenty of spots to bail out,” but quickly escalated to three pitches worth of free soloing. Niko didn’t have a chalk bag, so he relied on Matt to pass him some powdery savior until he reached a blank portion of the wall and had an Alex Honnold style freak out. He eventually made his way down the wall, and by that time Juan had scrambled his way out of view, with Matt not too far behind. 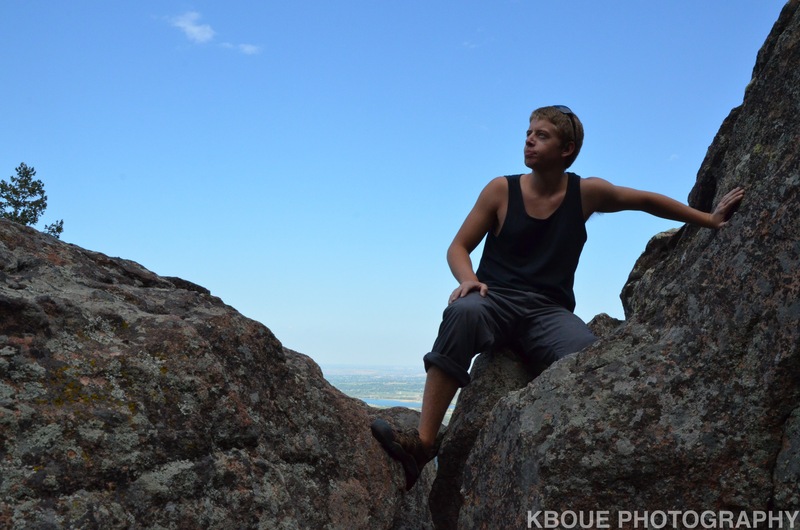 While the boys had their fun, I was left at the base of the slab to act as photographer and videographer – and tour guide, as I had to narrate the boys’ climb many times for the passing hikers who stopped to watch their free soloing. The video is pretty rough – it was my first attempt at video with my ‘new’ tripod – but I’m going to try to edit some of the footage into something presentable. 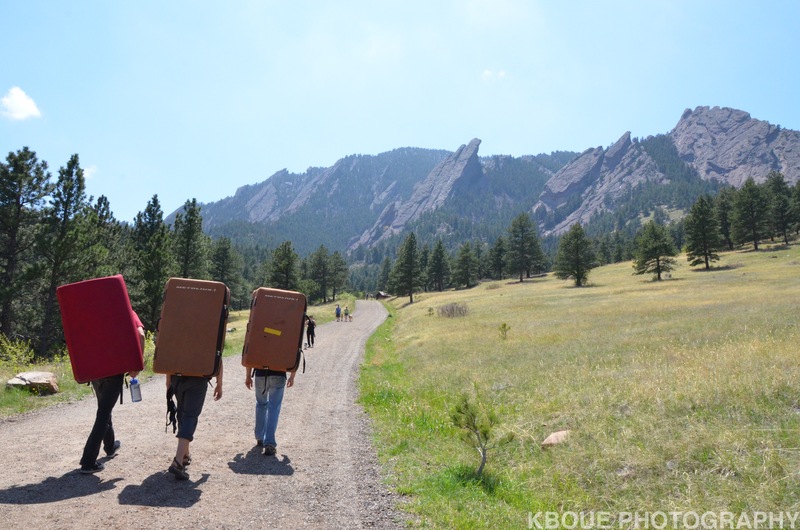 Aside from my new-found chronic knee pain, my time at Chautauqua Park was a great experience. 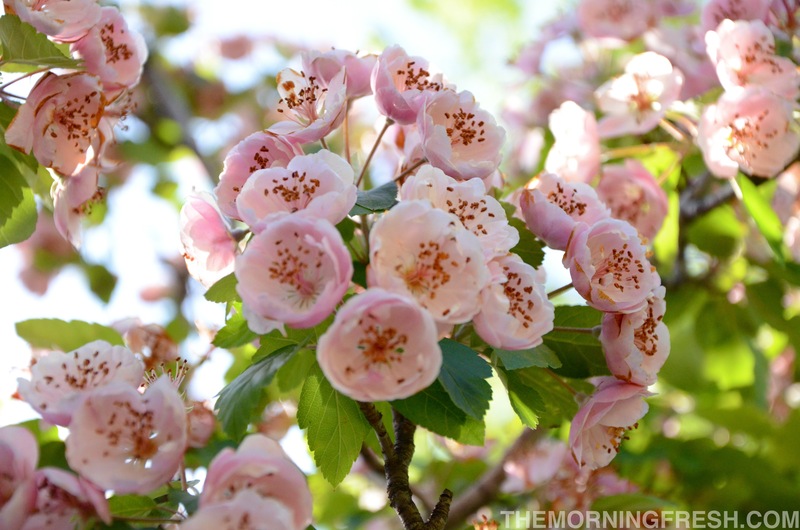 I spotted chipmunks, miniature snow patches, and awesome springtime blossoms. Topping out that sweet boulder problem was the cherry on a fantastic day. 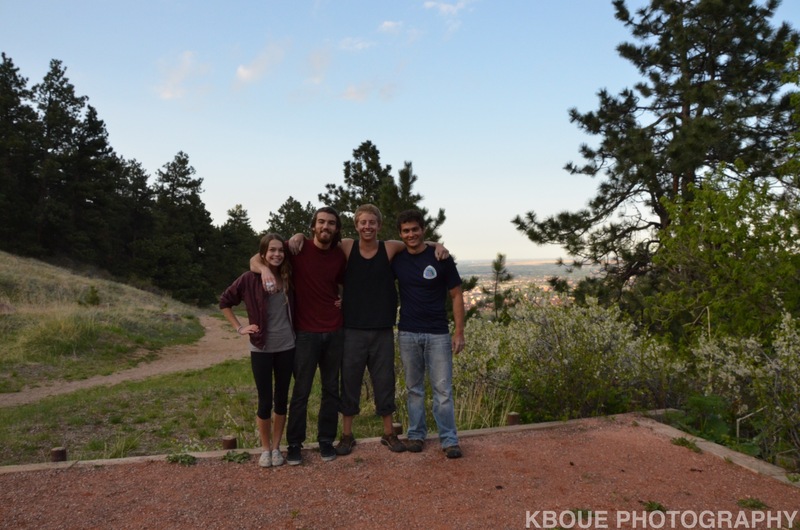 Next up: We’re planning to head out to Boulder Canyon with the crew and finally Mcgoo + Rob. The forecast predicts a bit of snowfall during our excursion, but hopefully it won’t be anything unmanageable. During the few rainy days we’ve spent exploring the ‘indoor’ offerings of Colorado, we’ve visited a collection of gear stores throughout a few different cities. 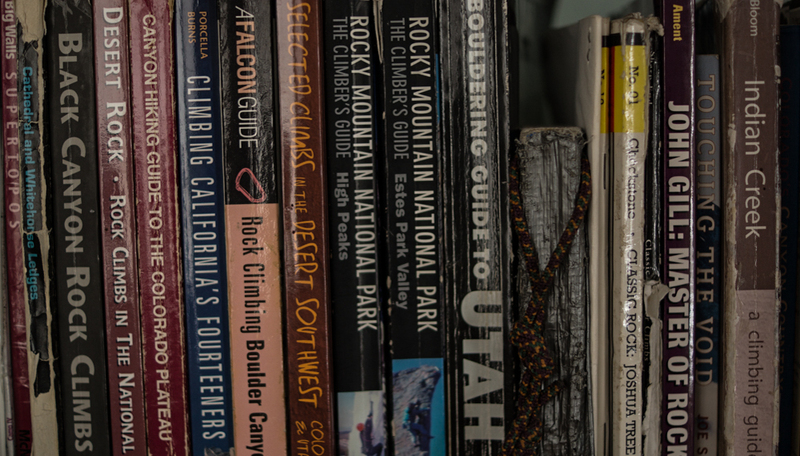 We bought a tent and pack at Wilderness Exchange Unlimited in Denver, and admired the books and old relics at Neptune Mountaineering in Boulder. 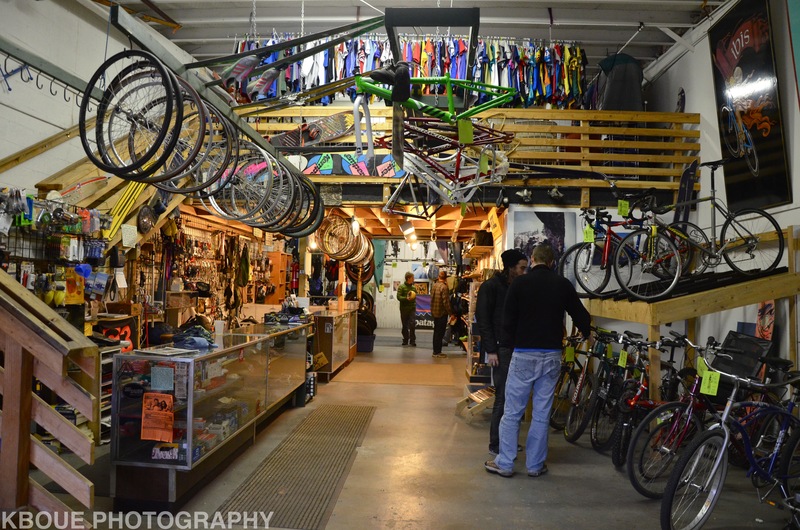 My favorite stop was at the Boulder Sports Recycler, just outside of the downtown Boulder area. Maybe I liked it so much because of warehouse location that reminded me of Tally Rock Gym; maybe it was the unbeatable combination of plentiful, quality recreational gear and climber budget-friendly prices. Whatever the case, I certainly appreciated the sweet maroon Patagonia jacked that I snagged in my size for just $26. 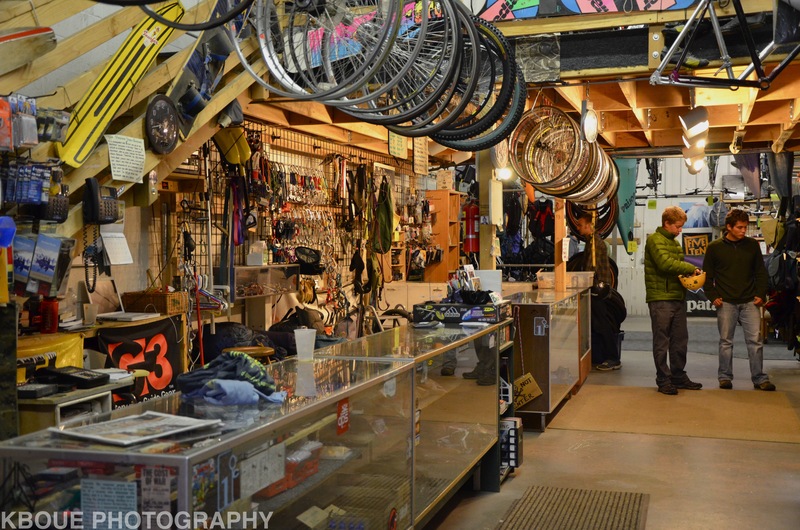 This place sells everything from climbing gear and trail maps to kayaks and cycling equipment – all gently used, and reasonably priced. Juan picked up a Petzl helmet that looked like it had hardly, if ever, been worn. The staff was friendly and down to earth, and browsing the racks at the recycler was an excellent experience overall. The Boulder Sports Recycler is easily the top gear consignment shop in the area. If you’re ever in the area, I highly suggest paying a visit to the warehouse. Check out my review of Boulder Sports Recycler on Yelp.com.